Because it’s one of the biggest games on the planet right now, PlayerUnknown’s Battlegrounds is attracting a lot of players. And wherever there are a lot of players, there are a lot of cheaters. We’ve covered this before, of course, from the waves of rule-breakers coming from Chinese servers to cheatmakers selling their wares in-game to people being brazen enough to cheat in charity matches. But it’s the sheer numbers of players cheating in the game at any given time that’s the most mind-boggling thing about it. Note that 1.5 million figure is a running total for the time. ...we have developed a new anti-cheat solution internally. We will be introducing an early version of the solution on our live servers next week (this is the solution that is currently being tested on our test servers). This solution will complement the systems that have been developed and implemented already. Its main focus for now is blocking unauthorized programs but it will be further developed to broaden the scope of its abilities. 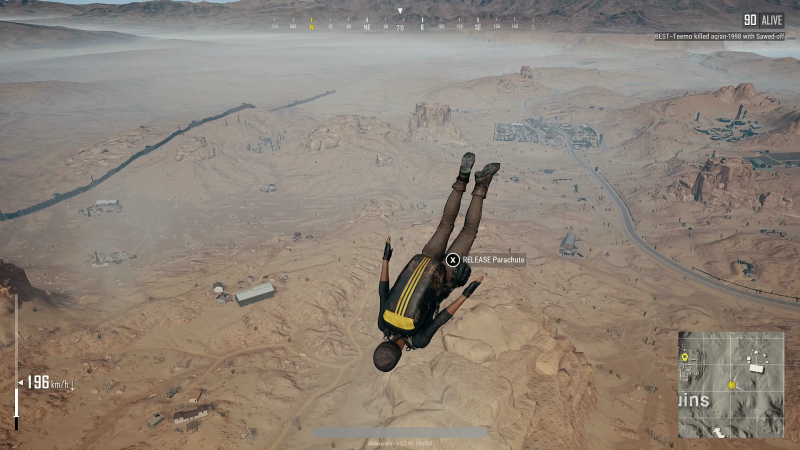 Nobody is saying this stuff is going to fix PUBG’s cheating. That would be naive. This game is huge, and wherever the people/money are, that’s where cheaters gravitate towards. And the battle against cheats is never won; much like piracy, it ebbs and flows, and so even if these new measures help reduce the scale of cheating within the game, they won’t get rid of it. But at the moment, with so many cheats running wild in the game, any progress is progress.